You get comprehensive card printing options. Print single or dual-sided cards in color or black and white, with specialty ribbons that offer special effects that will impress card recipients and make your cards hard to counterfeit. For example, add color-shifting graphics with a new pearlescent ribbon. Use 3D effects to make logos and text stand out with a new metallic ribbon. Add a watermark for simple elegance or additional counterfeit protection. Or add a highly durable protective layer to create cards that can last for years. Comprehensive encoding options allow you to easily create cards for any type of transaction � contact, contactless or magnetic stripe. And with fast printing, workers spend less time printing and more time on more crucial tasks � and customers spend less time waiting for cards to print. 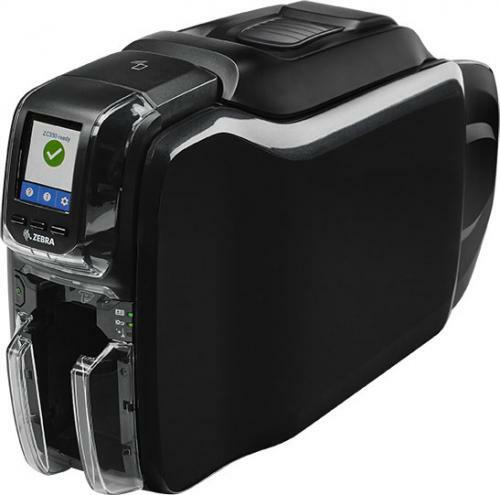 The Zebra ZC350 Dual Sided ID Card Printer features a 2-year warranty on printer and printhead, plus 1 year printer loaner coverage.